Buttermilk in “Karno’s Daughter” is the name of a young maid in Bengal, who is the central character in Rimli Sengupta’s debut book in English, which examines the lives of maids, who deal with the rigours and churnings of life as they come, tackling adversities with a smile, even as they provide unsung comfort to those who hire their services. And much like buttermilk, which settles almost anonymously under the layers of glistening cream, their lives too are ignored, snubbed and often overlooked, despite the value they add to the quality of life of their employers. 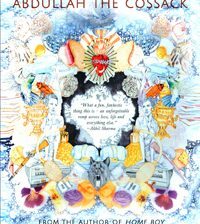 Sengupta’s style of narration is almost similar to the unheralded comings and goings of a household maid, with the author’s banter and mild interrogation of Buttermilk (for the purpose of unearthing her story) interspersed with long stretches spelling out the story of her arduous life. Sengupta’s novel straddles across several decades from the 1971 Bangladesh Liberation war to Prime Minister Indira Gandhi’s assassination and further on: Incidents which Buttermilk recounts to the author with a flourish of innocence. “There was a war or something bad going on nearby. The streets were full of people who had come from far away, much farther than us. They said they came on foot. They were skin and bones, their clothes were rags. They were even poorer than us,” Buttermilk describes her little tryst with the 1971 war, when she was a young girl who had just moved from rural Bengal to the big bad city of Calcutta, as Kolkata was then known. The novel begins with an early slice of Buttermilk’s life as a young girl, excited because of a large crab she had caught and which had to be eaten by her family after several days without rice, because there was no money in the house to buy rice for the lot. The crab anecdote literally serves as an enticing claw to hook the reader’s interest in a book that doesn’t exactly deal with an obviously racy plot involving a nuclear holocaust or a sassy crime heist. As Sengupta chronicles Buttermilk’s adversities, such as her father Karno’s decision to marry her to a once-married village dimwit — in order to save his honour — to her efforts to formally buy a chunk of land from a menacing landlord, to her daily ordeal, the author does not forget to underline the tenacity and the sharp wittedness of the maid while dealing with obstacles which come her way. 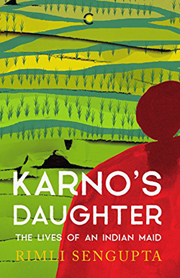 “Karno’s Daughter” is not just the story of Buttermilk or that of a Bengali maid. It is the story of most maids in India, who get by their days, weeks, months and years with hard-earned wages, while dealing with copious amounts of hard-luck.